So to continue on a theme that I seem to be developing on this blog; I will be writing about the “medical use” of colloidal silver. So what is colloidal silver? Colloidal silver is a solution of silver molecules and water. It is created through electrolysis. 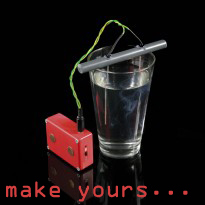 A kit is used to run an electric current through a piece of silver that is suspended in water. This causes a reaction in the silver, which causes microscopic pieces of the silver to break free from the main piece and become suspended in the water. Now the next question is, “what is colloidal silver supposed to do?” Well, people claim that this stuff can do just about anything. There are claims that colloidal silver can cure anything from cancer, AIDS, respiratory illness, and simple infections. I do feel obligated to point out that colloidal silver has been shown to kill infectious bacteria and viruses in laboratory settings. However, this does not mean that the substance is safe for consumption. Arsenic has been shown to kill infectious bacteria and viruses in laboratory settings, but it is a deadly poison. So why do people believe that colloidal silver is a safe alternative to “traditional” medication. Well, silver has been used as an antibiotic for quite some time. However, silver has recently been categorized as a Heavy Metal; as in heavy metal poisoning. This is why the medical use of silver has become highly regulated in the modern medical profession, if it is used at all. So what is the harm in using colloidal silver? Well, there are a few dangers. The most obvious to users of the solution is a condition known as argyria. Argyria is a condition of the skin where silver accumulates in the skin and becomes reactive to sunlight, resulting in a grey/blue coloration of the skin. While argyria is considered a cosmetic condition, it is a symptom of greater medical dangers. Argyria is caused by buildups of silver in the skin. Silver builds up in the skin because the human body does not utilize silver in any metabolic process. This causes silver to collect in the tissues of the body. This includes the skin, eyes, kidneys, liver, lungs, and nerves. These buildups of heavy metal interfere with the normal function of the tissues and organs of the body. This can eventually lead to renal failure, liver damage, and neurological disorders. I strongly advise against the use of colloidal silver. The benefits are anecdotal at best, and the side effects are not worth any theoretical benefits. If you are using colloidal silver, I suggest that you stop. If you are considering using colloidal silver, I recommend that you don’t. 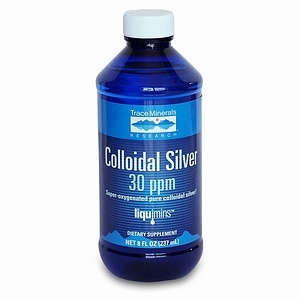 If you know people who use colloidal silver, do your best to convince them that it is not helping them. As a side note, I learned that there is a group of people who advocate the use of colloidal silver on pets. This is just too much for me. If an adult wishes to do something to their body that can harm them, that’s their right. But to harm defenseless animals with uninformed pseudo science; that is a line that I have drawn in the sand. It is animal cruelty and I do not support it. If you use colloidal silver on your pets, STOP! Don’t drag inocent animals into your uninformed world view. They didn’t do anything to you.